LANAO DEL SUR, Philippines — Authorities arrested in Lumbatan town late Monday two Maute terrorists who had just escaped from Marawi City. Chief Superintendent Reuben Theodore Sindac, police director for the Autonomous Region in Muslim Mindanao, said the two men, Sailanie Asral Mamaorong and Mama Batara, are now in their custody and will be charged with rebellion and other criminal offenses. Local officials and barangay leaders confirmed on Tuesday that Mamaorong and Batara are both henchmen of Omar and Abdullah Maute, founders of the Maute terror group, also known as the Dawlah Islamiya. Sindac said they learned of the presence of the duo in Barangay Pantar in Lumbatan from villagers who even led police and soldiers to their hideout. Lumbatan is a component town of Lanao del Sur, whose provincial capital is Marawi City. “Good enough they did not resist arrest. They yielded without a fight. They could have been killed if they fired at the raiding team,” Sindac told The STAR via mobile phone on Tuesday. 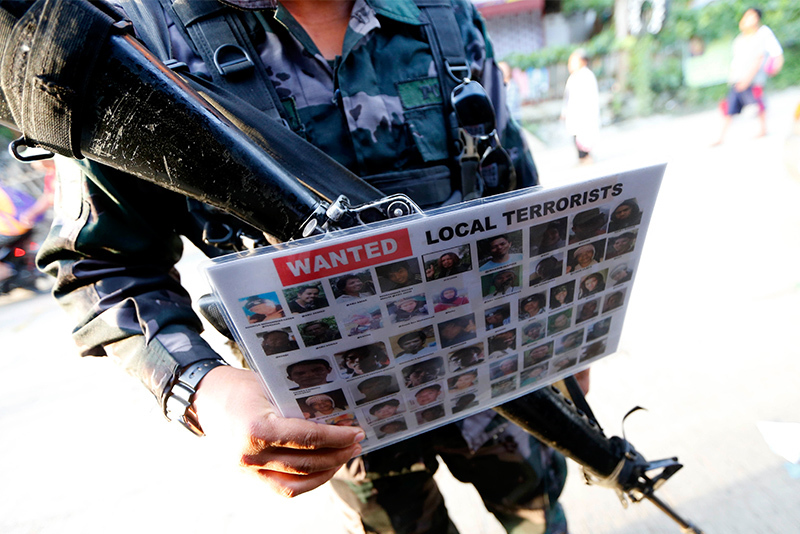 The arrested Maute members readily confessed to their participation in the May 23 siege of Marawi City as planned by their leaders and by Isnilon Hapilon, self-proclaimed “amir” (leader) of the Abu Sayyaf. Barangay officials in Lumbatan said the two militants were forced to leave Marawi City when they ran out of ammunition. Mamaorong and Batara turned in a home-made .50 caliber sniping rifle and a launcher for 40-millimeter grenades. Sindac said Mamaorong and Batara will also be charged separately for possession of unlicensed firearms.